This June, Season 7 of the Rocket League Championship Series will stage it’s world championship games in Newark, New Jersey. With the addition of the South America region, this year’s RLCS will have 12 teams vying for the big prize. Season 7 of RLCS started this weekend and will last 5 weeks, with the championship being held June 21-23. To see the current standings, head here. Meanwhile, FC Barcelona has signed their own Rocket League team. FC Barcelona joins fellow fútbol (or soccer as we like to call it here in the land of George Washington) clubs Paris Saint-Germain FC and Servette FC in the RLCS. FC Barcelona picked up the team “Savage!” just a few days before RLCS Season 7 began, gave them a quick name change to “FC Barcelona” and got them into the game real quick. FC Barcelona won its match this weekend, starting off the season strong. Every week, amateur Dota 2 players get to take part in their own tournament, the Battle Cup. Well, we should maybe say “almost every week”. This past week, Battle Cup players found themselves battling network issues instead of one another. 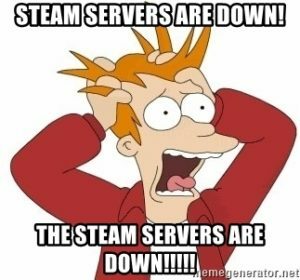 Steam servers were having issues just before Battle Cup started, and while Valve got the serves back online before Battle Cup started, players still encountered issues, including being told that they had already participated in that week’s Battle Cup or suffered through poor connections. 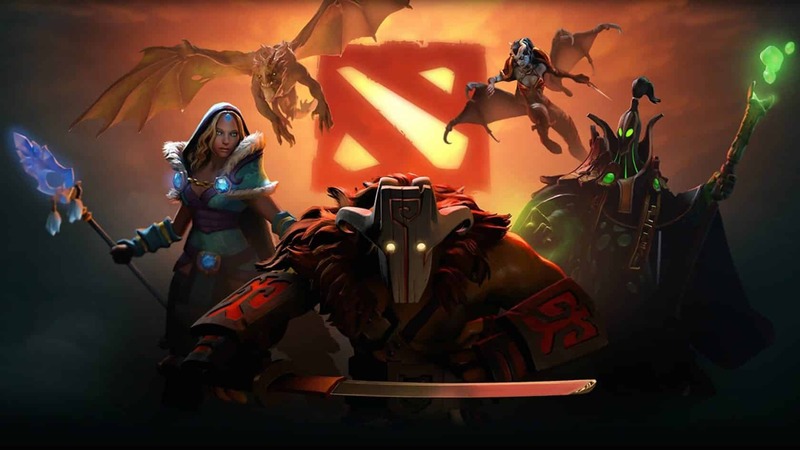 The qualifiers for Dota 2’s World Cyber Games 2019 wasn’t immune to these problems. The qualifiers for Austria, Belgium, Bosnia and Herzegovina, and Ireland were canceled because of the problems. Those matches will be rescheduled for later in the month. In the British qualifier, Instant Reflex handed Theresa May another loss when they defeated The Brexit. In Croatia, croDOTKA won their match and are headed to Xi’an, China for the World Cyber Games final. Meanwhile, after a delay, Alliance took down Goblin Legs for a spot in the OGA Dota PIT Minor, which will happen in Croatia from the 22-28 of this month. Red Reserve Out Of Reserves? Call of Duty pro team Red Reserve has been in the news a bunch lately, and it isn’t for the kind of things an Esports team wants to be making news for. It started with the word getting out that players haven’t been paid in months, followed by reports that that FaZe Clan may be purchasing Red Reserve’s spot in the CWL Pro League for a hefty $50,000. If you think this all suggests that Red Reserve is having some cash issues, you may not be the next Sherlock Holmes, but you aren’t wrong. Teammate Trei “ZerO” Morris tweeted that the team had been informed that they had to GTFO of their Las Vegas house. Been told by the Red owner to leave the house we are staying in, because they couldnt pay for it, idk how or why we are in this situation or how ive even been able to keep it under wraps, guess we’ll see what the streets of las vegas are saying. Trei’s teammate Rhys “Rated” Price went into further detail, explaining that along with not getting paid their salary in months, no one on the team has been given the $40,000 in winnings they are owed. Division A of CoD’s Pro League is set to resume on May 13. Red Reserve’s return to the league seems to be in question. Fortnite World Cup starts this weekend with the release of season 8. The World Cup will run through July, ending with the Grand Finals being held at Arthur Ashe Stadium in Queens, NY. You can pre-register for tickets to the three-day event now and if you go all the way and buy up some tickets, you’ll get V-Bucks and a Season 10 Battle Pass when you arrive at the stadium. Word on the street is that season 8 will really change up the vehicles in the game, upsetting many pros who plan their strategies around how the vehicles work. This comes at a time when professional Fortnite players are already feeling a little down in the dumps about the game. Epic’s decision to ban stretched resolution and the current points system didn’t go over well with players. The news of the vehicle changes appears to have been confirmed by an Epic engineer on Reddit. 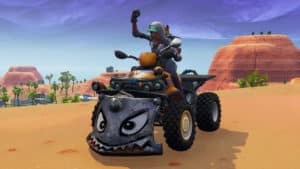 User DanDaDaDanDan explained that Epic believes the changes will make vehicles easier to use, but they are not just dropping the changes in and walking away. There will be a test period. 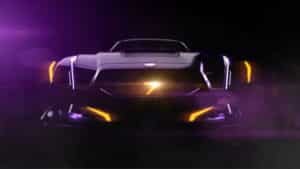 How players will react to the vehicle changes remains to be seen. Last week, we brought you the news that Dafran was retiring from Overwatch League and moving into the position of a commentator for his team, Reign. This week we have a few more retirements from the game, just as Stage 2 of the 2019 season begins. 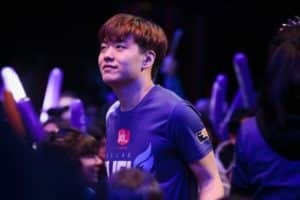 Dallas Fuel player Hyeon “EFFECT” Hwang announced his retirement from OWL on Facebook. In his statement, Hwang explained how he turned to video games as a child when he was looking for an escape from the stress of the real world, but lately, that escape hasn’t been working. Hwang saw Overwatch as a way to turn his love of games into stardom, but it hasn’t worked out the way he had hoped. The pressure of playing in OWL got to him in the first season of the League, leading to his 3-month sabbatical during Stage 3. Hwang returned with a new passion for the game, but that passion apparently died out quickly. Citing a lack of changes in the game – “The same comps, the same maps, the same strategies” – Hwang found himself feeling depressed and stressed out from the constant practice. We wish only good things for Hwang, and hope he finds his path, be it in games or elsewhere in this world. Hwang isn’t the only player to retire in the last week. His fellow Fuel teammate Christian “cocco” Jonsson also announced his decision to leave the League. Jonsson played a tank in season 1 of OWL and transitioned to an assistant coaching role for season 2. In his retirement video, Jonsson noted that the pressure of the game, and being so far from his home in Sweden lead to his decision to leave. Jonsson is considering a move to full-time streaming but hasn’t made any firm decisions yet. 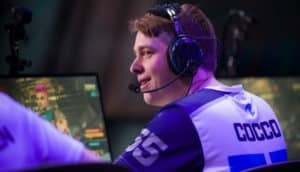 The Fuel also said goodbye to Richard “rCk” Kanerva, who they traded to Boston Uprising for Lucas “NotE” Meissner early in the week. In news that isn’t about the Dallas Fuel, the Atlanta Reign acquired Andrej “babybay” Francisty from the San Francisco Shock. Francisty is replacing Dafran. With the roster changes all done, Stage 2 of Overwatch League kicked off with some great games. The San Francisco Shock took the top spot by blowing out the Los Angeles Valiant (4-0) and Guangzhou Charge (4-0). New York Excelsior stands in second with wins against the Philadelphia Fusion (4-0) and Shanghai Dragons (3-0). Stage 1 winners Vancouver Titans are currently in 7th place. With only one match for the week, their win against the Hangzhou Spark continues their undefeated streak but sends them down the ranks for the moment.